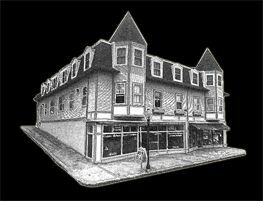 Bernadette Livingston Furniture is located at 39 Main Street in East Greenwich, Rhode Island, 02818 USA. If you're in the New England area, or would like to drive or fly in, we will be happy to provide a private showroom viewing and schedule any time needed for design and custom ordering services. We are located on Historic Route 1, (the Eastern U.S. coastal route), and 2 miles from I-95 and Rt. 4 near the Division Rd. off-ramp. For visitors coming into Rhode Island by plane, we are located only 5 miles from T.F. Green Airport in Warwick, RI. 5. Turn right onto U.S. 1 S/Main St and Bernadette Livingston Furniture will be on your right. 6. Turn right onto U.S. 1 S/Main St and Bernadette Livingston Furniture will be on your right. 1. Merge onto T.F. Green Airport Connector Rd. Keep left at the fork, follow signs for I95 S New York and merge onto I95 S.
6. turn right onto U.S. 1 S/Main St and Bernadette Livingston Furniture will be on your right. Approximately 15 min. 1. Take Interstate 84E towards Boston, MA. 11. Turn right onto U.S. 1 S/Main St and Bernadette Livingston Furniture will be on your right.